Former White House Economic Policy Director Todd Buchholz and FBN’s Neil Cavuto on the future of Greece and the European Union. Hey Europe, let it go. And go ahead and let other sick members go, if the Greeks go. It&apos;s time to move on because you, my European Union fans, are frozen in time. Quit trying to make this club of yours work, and just heave a club and tell those you keep bailing out they don&apos;t qualify, and see if that works. Yes, it could mean Italy follows, and maybe Spain, and Portugal, even France...maybe your whole club disbands. Maybe the European Union itself goes away, and the once-vaulted single European currency goes away too. You and I know it was a stupid union and ridiculous club to begin with. And your likening it to the United States of America -- and 50 states under the same giant umbrella -- was stupid then and it&apos;s stupid now. All states in the U.S. answer to the same federal government. News flash Europe: Greece and Italy don&apos;t feel the same way about a union I call greater Germany. Ain&apos;t happening. Never was meant to... never will. So let me put it simply... give up on this club of yours completely. 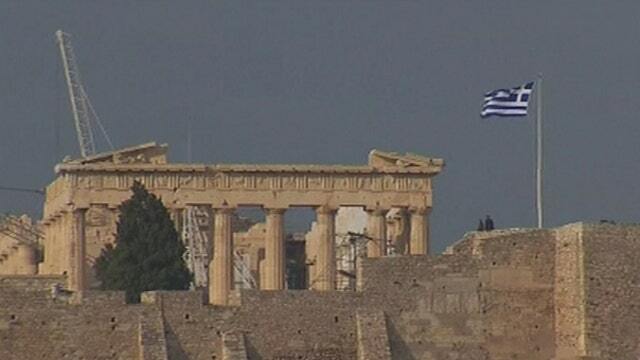 Give the Greeks back their drachma, the Italians their Lira -- and give them back their cultures, roots and freedom. Germany failed at conquering the continent nearly 80 years ago. Recognize the obvious and don&apos;t give them the chance ... again. It never made sense then, and it makes even less sense now.